It warms our hearts to see what admirable people our alumni have grown into. We have leaders in business, in art, in science, etc., but we’re most of all pleased to see the quality of the CYJers’ characters. They’ve become wonderful parents, supporters of communities, and defenders of justice and compassion. We’ve actually benefited from our alumni’s altruism on countless occasions. So many hundreds of campers returned as staff members years later, paying forward the labor and the love they received when they were children. There are also the countless dollars and hours of labor our alumni have donated, enabling us to continue expanding our facilities, our programming, and our camp family! The alumni can’t be thanked enough, as it’s their generosity which lets us be everything we’ve become. We hope you’re proud of the camp you’ve built, and for what it’s worth, you have our deepest gratitude. With all of Camp’s moving parts, there’s bound to be a way CYJ can benefit from your talents and passion. Consider what you’d like to see for Camp, what you would’ve loved as a camper or staff member. You never know… you could have the next big idea for CYJ’s newest upgrades! There are, of course, more traditional ways to give back, namely donating to one of our ongoing campaigns. While it may seem like a more boring way to contribute, these funds are actually a big deal. They’re our first resources for expanding our facilities, upgrading our programming, and providing tuition assistance for a significant portion of our campers. In some ways, the outcomes of these campaigns shape who we are as a camp. Do you have a skill or practice a profession that could benefit CYJ? If you’re available, consider working as a specialist during the summer, even if only for a short time. If you can’t come up yourself, maybe you know someone who can. We’re always open to quality counselors and staff, and you alumni know best who would make a great CYJer. 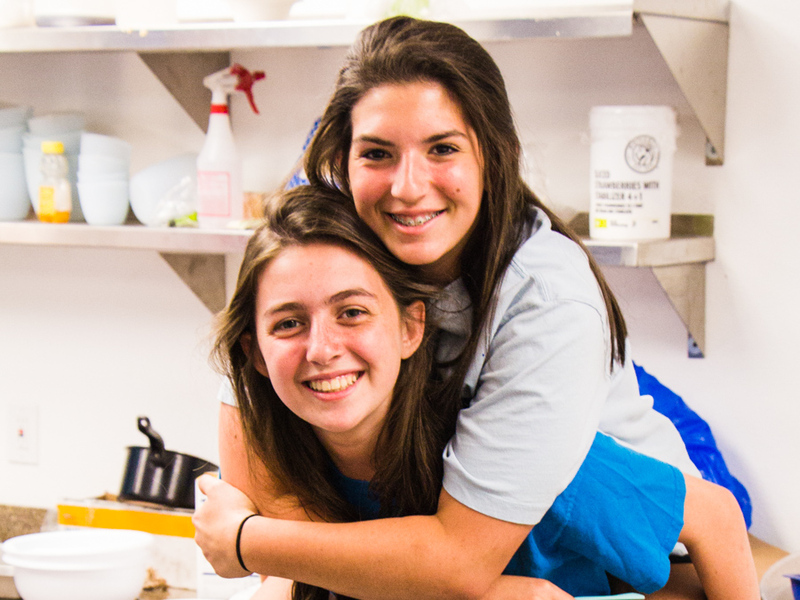 If you think you know someone who would thrive at camp, send them our way! That goes double for campers! Let your friends and family know what they’re missing our on and refer them to CYJ! If you’ve really caught the giving bug, you could volunteer in a larger way. Consider hosting a camp meet and greet in your area, or even being a part of our illustrious board. Give us some feedback! We’re always looking for ways to improve, so if you have any comments or critiques. be sure to share your thoughts!